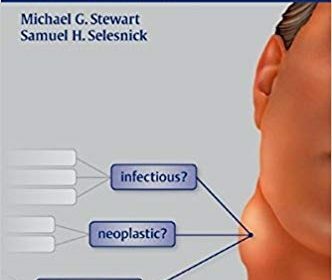 Designed as a practical resource for rapid and accurate diagnosis in otolaryngology – head and neck surgery and facial plastic surgery, this comprehensive manual uses an innovative format that simulates what physicians experience in daily practice. Each symptom-based chapter opens with the patient’s presentation followed by an easily accessible list of potential diagnoses and supplementary data on the features of the different diseases to help the user correctly identify the problem. Differential Diagnosis in Otolaryngology is a must-have reference and refresher for clinicians in otolaryngology who need to update their knowledge of their own and other subspecialties in the field of otolaryngology-head and neck surgery. It is also a valuable tool for otolaryngology residents and fellows as they prepare for daily practice or study for exams. 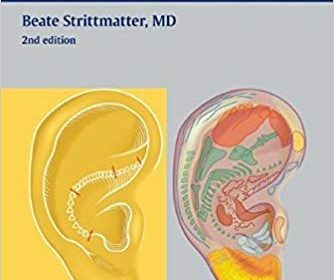 This innovative and accessible guide to ear, nose and throat medicine delivers everything you need to know to develop a thorough grounding in the subject, acting as an essential course companion and an ideal revision aid. Written in a lively and accessible manner reflecting the author’s popular lecturing style, the content has been carefully matched to meet the demands of both the undergraduate curriculum and the core competencies for foundation study. Topics are approached in a problem-oriented manner, with basic science and clinical information integrated throughout in line with current teaching practice. 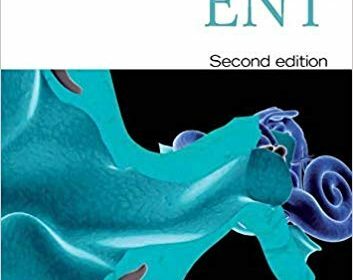 Essential ENT, praised in the first edition for its brevity, style and illustrations, remains an essential text for undergraduate medical students and foundation doctors, an excellent aide memoire for those embarking upon a career in ENT and studying for the Diploma in Laryngology and Otology, and a reliable companion in clinical practice for general practitioners and staff in the emergency department. Written by one of the world’s leading experts on Western auriculotherapy, Ear Acupuncture — now in a fully updated Second Edition — provides readers with succinct descriptions of acupuncture points and practical advice on how to incorporate ear acupuncture treatment strategies and techniques into daily practice. Based on the work of auriculotherapy masters Nogier and Bahr, each practical two-page unit is comprised of concise text on the left-hand side supplemented by clearly labeled line drawings on the right. Localization points indicated in color depict each specific reflex zone. In cases where localization is particularly difficult, helpful enlargements of the region in question allow for easy identification. This user-friendly guide is the ideal choice for students or teachers of acupuncture and pain management or for anyone involved in the practice of complementary medicine. The first edition of William Lincoln Ballenger’s Diseases of the Nose, Throat and Ear: Medical and Surgical was published in 1908 and has since sold over 150,000 copies worldwide in 11 languages. The 18th edition has expanded to 114 chapters, continuing the tradition of excellence and applying Ballenger’s original concept of combining an atlas with text to produce a comprehensive reference for practitioners of the 21st century. Color plates, illustrations, endoscopic photographs, and other color photographs illuminate surgical concepts, the foundations of underlying disease, and procedures. Section editors and senior authors were selected for their valuable contributions and international leadership in their disciplines. 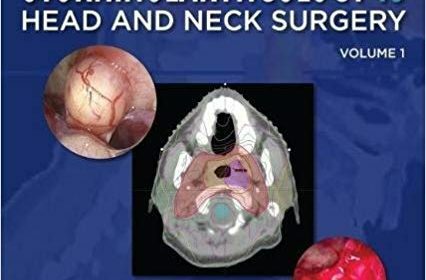 This edition blends state-of-the-art clinical techniques, methods, and outcomes with scientific foundations in an accessible, reader-friendly manner for both developing specialists and seasoned practitioners. New to this edition: more than 1,000 full-color clinical illustrations and photographs; emphasis on the role of molecular biology in the pathogenesis of disease and therapy; coverage of the genetic, virology, bacterial, and immunologic basis of disease; expanded presentation of the basic science underlying clinical practice; and expansion of the rhinology and pediatric otorhinolaryngology sections. New chapters on cochlear, auditory brainstem, vestibular prostheses, allergy evaluation, immunotherapy, medical management of chronic sinusitis, upper and lower blepharoplasty, cleft lip, drooling, dysphagia and aspiration, otoplasty, functional rhinoplasty, navigational systems, surgical simulators, and robotic surgery. 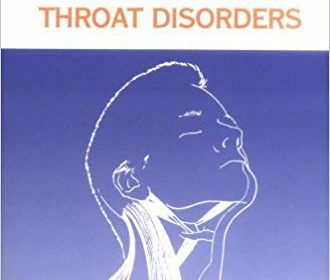 New pediatric chapters on speech and resonance disorders in children, voice disorders in children, pediatric head and neck neoplasms, aerodigestive tract foreign bodies and caustic ingestions, vascular tumors and malformations of the head and neck, infectious and inflammatory disorders of the larynx and trachea, congenital anomalies of the nose and nasal airway, congenital anomalies of the external, middle and inner ear, congenital anomalies of the mandible and maxilla, and acquired anomalies of the larynx and trachea. Written primarily for medical students on otolaryngology rotation, and for residents and primary care physicians who are not specialists in this area, The Clinical Handbook of Ear, Nose, and Throat Disorders serves as a ready-reference clinical handbook of current diagnostic and therapeutic management of ear, nose, and throat disorders. The book takes a symptom-oriented approach that provides practical algorithms for diagnosis and management that make it an ideal quick reference. The appendixes describe pharmaceuticals commonly used in otolaryngologic practices and instruments that are necessary for a complete otolaryngologic examination. Authors William R. Wilson and Joseph B. Nadol, Jr., are chiefs of their divisions of otorhinolaryngology and head and neck surgery and otolaryngology, respectively, at major American medical centers. 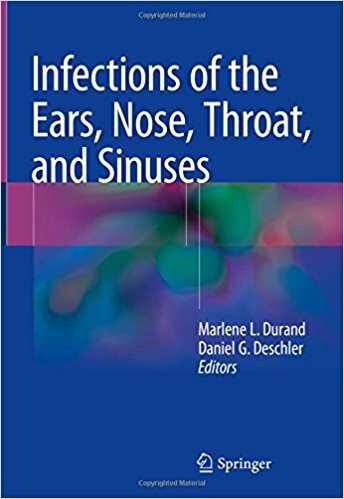 The authors include the basic information non-otolaryngologists need to diagnose and treat ear, nose, and throat disorders, and provide lists of recommended readings and a comprehensive index. The Clinical Handbook of Ear, Nose, and Throat Disorders serves, as its title implies, as a handbook and quick reference of current diagnostic and therapeutic management of ear, nose, and throat disorders. 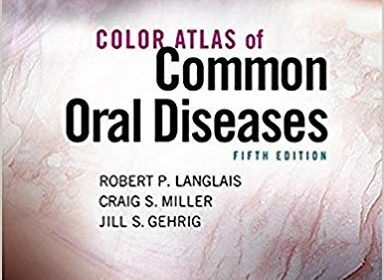 Featuring over 800 clear, high-quality photographs and radiographic illustrations, this fully updated 5th Edition of Color Atlas of Common Oral Diseases is designed throughout to help readers recognize and identify oral manifestations of local or systemic diseases. The new edition includes expanded and updated content and is enhanced by new images, new case studies, a stronger focus on national board exam prep, and more. The book’s easy-to-navigate, easy-to-learn-from standard format consists of two-page spreads that provide a narrative overview on one page with color illustrations on the facing page. To integrate oral diagnosis, medicine, pathology, and radiology, the overviews emphasize the clinical description of oral lesions, cover the nature of various disease processes, and provide a brief discussion of cause and treatment options. An increased focus on national exam preparation is reflected in end-of-chapter questions, entities, cases, and images. Differential Diagnosis Tables added to each section help students distinguish a particular disease or condition from others that have a similar appearance. Coverage of new entities, such as Radiopaque Lesions of the Jaw, have been added. Additional content on Facial & Neck Lesions has been added. A greatly expanded Radiographs section includes 30 new images and up-to-date content. Approximately 85 new images enhance the book’s unparalleled photo and illustration program. New Student Resources: Case Studies (five per chapter) expand students’ opportunities to apply what they’ve learned to clinical situations. Select Disease Fact Sheets and an image bank. A reader-friendly organization presents clinical and radiographic features of common diseases found in the oral cavity according to location, color, surface change, and radiographic appearance. Chapter-opening learning objectives help students focus their studies by setting forth what they need to know after completing the chapter. Color-coded sections with tabs organize information into logical sections to help students locate information quickly. Highlighted key words draw student attention to important concepts. Case studies(80 in all) give students an opportunity to apply their knowledge to clinical situations and prepare for the National Board Examinations. A comprehensive Glossary offers clear, simple definitions for key terms. Expanded instructors’ resources and all-new student resources save instructors time and help students succeed. 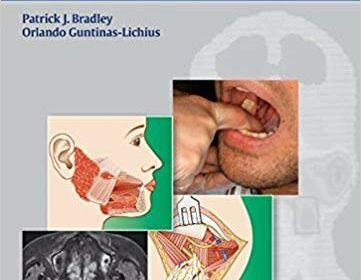 This book is designed to guide the practitioner in the medical and anesthetic management of the maxillofacial surgery patient, serving as a comprehensive, up-to-date resource that will assist in patient work-up and response to any medical problem. 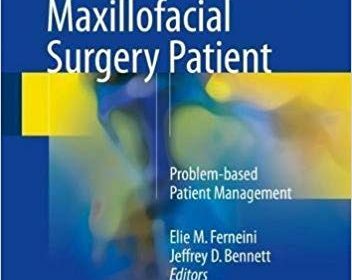 It is divided into four sections that provide an overview of general and basic topics relevant to perioperative assessment, explain the assessment and management of diverse medical issues and co-morbidities, discuss the perioperative, pharmacological, and supportive management of maxillofacial treatment, and identify potential complications and their management. All of the authors have been carefully selected for their expertise in the topics that they discuss. 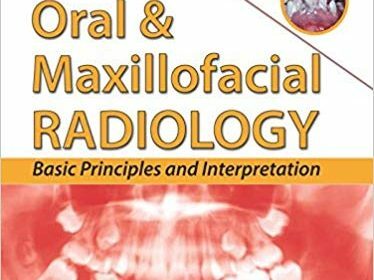 While the book will be especially valuable for oral and maxillofacial surgeons, it will also be highly relevant for multiple other health care providers, including dentists, dental specialists, dental hygienists, otolaryngologists, plastic and reconstructive surgeons, medical residents, nurses, and physician assistants.